I'm Raven Raina O' Delm Black. I'm known for my professional art works even though I'm young. I have a music band. I'm looking for a collaboration on a song. Also, I've been on TV (no bragging). Projects here are made for fun and from boredom. Invite me cuz I deleted all studios. Tell me if I didn't followed you. 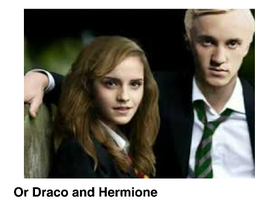 Ship Hermione with Weaselbee or Draco ? Check out my new project and judge!